Our girls tshirts run very true to size. We do not suggest up sizing. 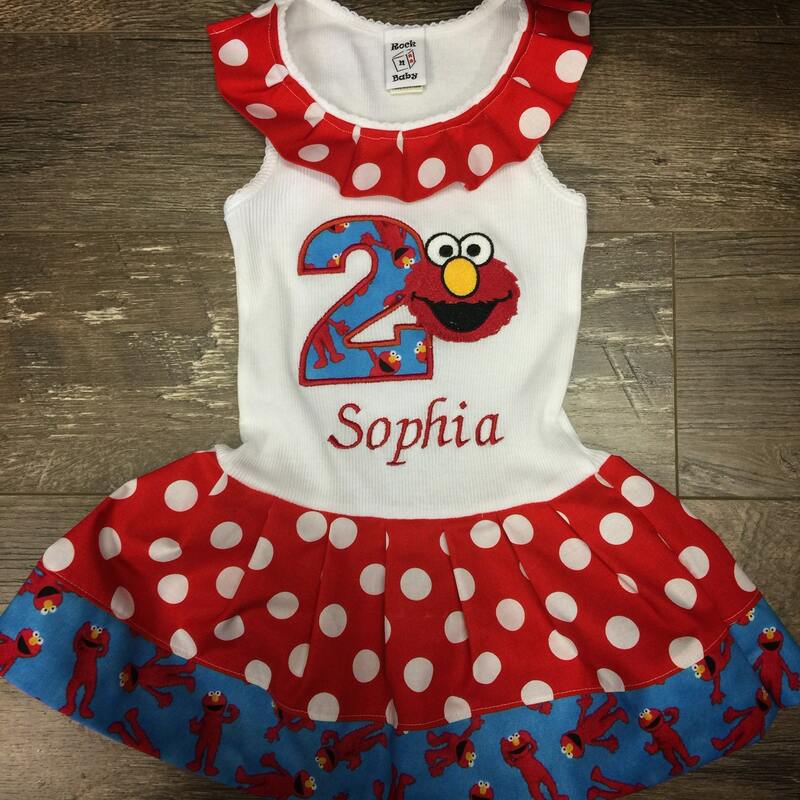 Skirt can be custom made to fit childs waist and length requirements. Choose shirt size at checkout. 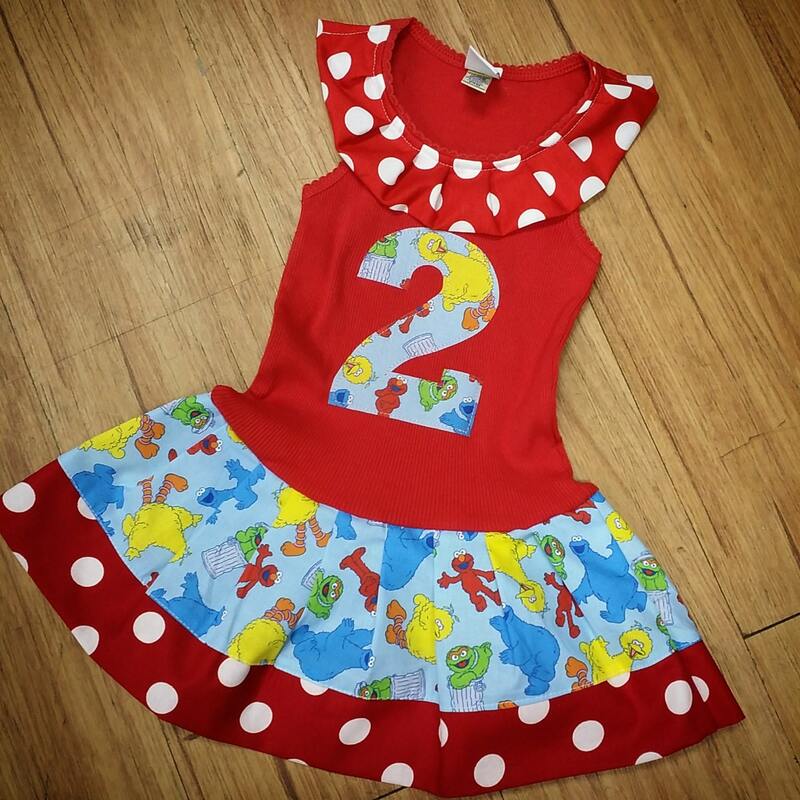 Skirt size will be made to match unless specific measurements for skirt are put in the notes section at checkout. 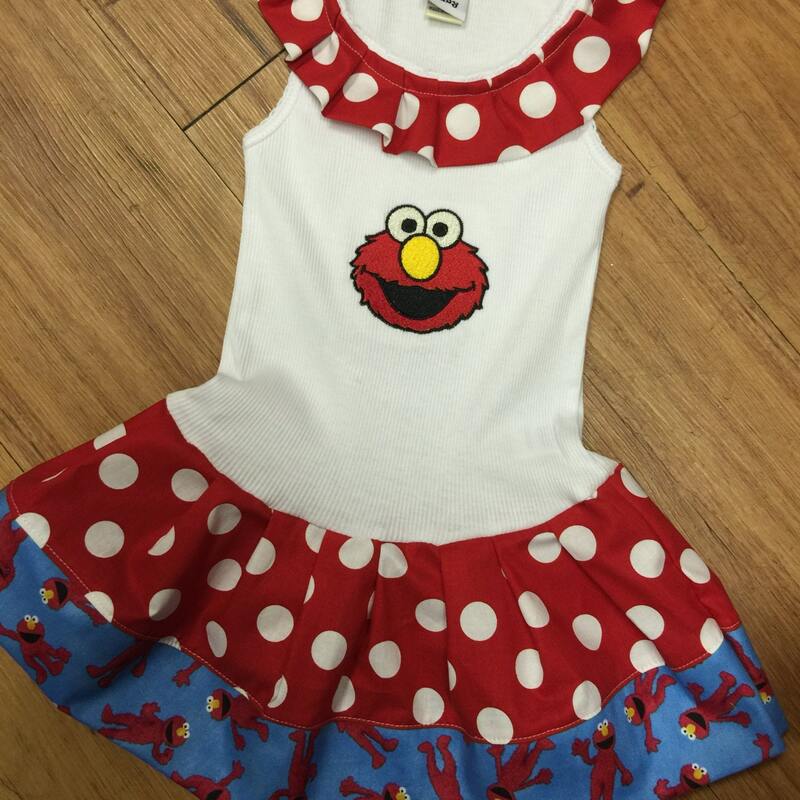 If you want a custom fit, please put measurements for waist and length in inches at checkout. Hair bow IS NOT included in this order but can be purchased separately upon request. 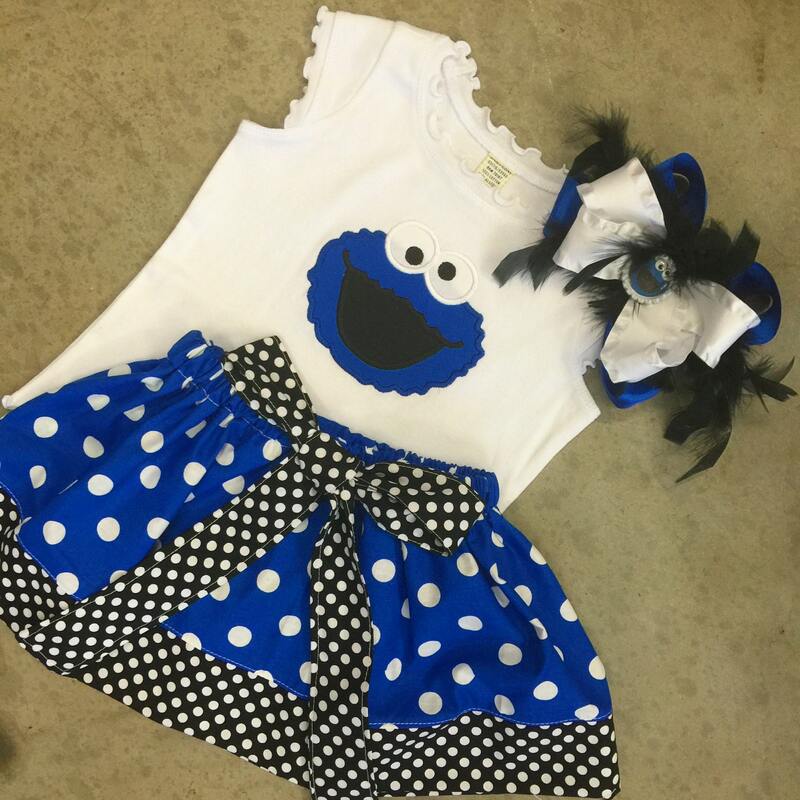 This Cookie Monster outfit is so beautiful.... the craftswomenship that was put into making it is so special. Thank you! I’m definitely going to order more in the future. Thank you! I never leave negative feedback....but I was quite unhappy with the service I received for this order. Seller was communicative but did not follow through on several accounts. Item was shipped past date expected and was sent without the bow. Outfit Arrived JUST in time for party. Seller was sure to point out she had to pay express shipping....which was NOT my fault. If you can't get an item somewhere on time, do not take the order....plain and simple. Seller agreed to send the bow so that I would receive it a week later for another event...and it arrived late yet again. The bow does not compare to the picture. It has little to no feathers and was poorly made. The bow was the ENTIRE reason I bought this outfit. Seller promised a refund for it that I still have yet to see over a month later. Will not buy from this seller again.